I contacted the Stadtmuseum Erfurt and told them about your guess. 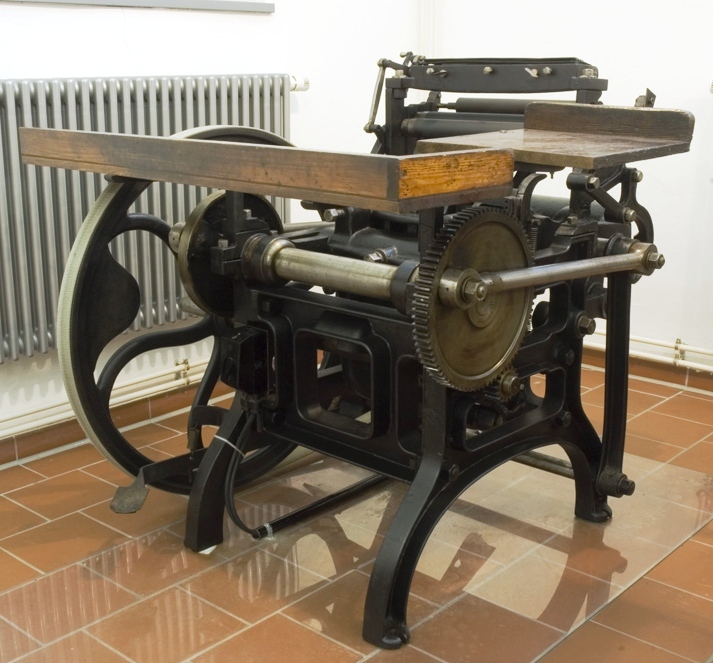 An employee of the museum, Mrs. Karin Breitkreutz, informed me that there is indeed a Liberty Platen Press in the Benary-Speicher, a branch office of the museum. 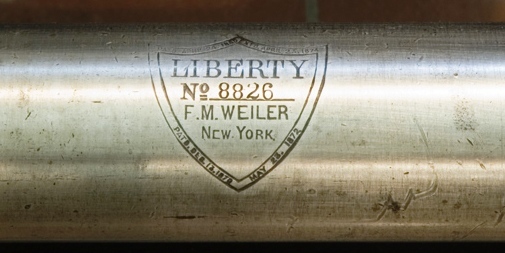 The year of construction is 1885, the manufacturer is F. M. Weiler, New York, and the number on the drive shaft is 8826. 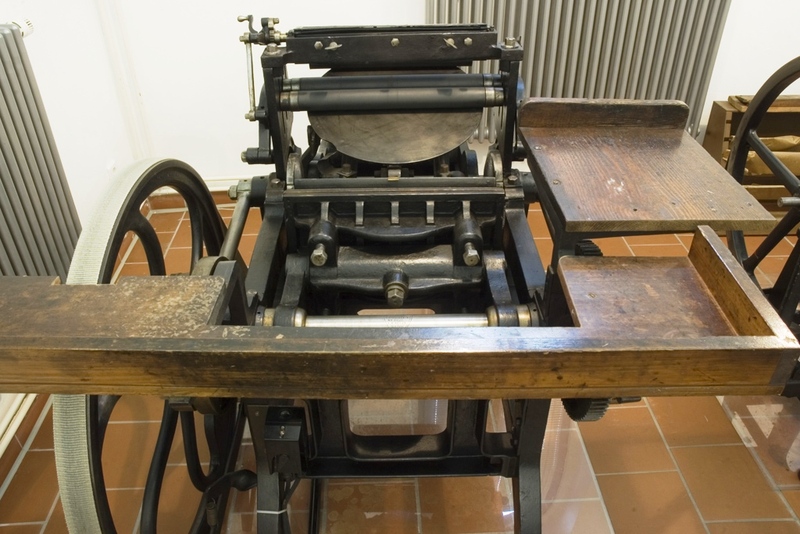 Post: "Druckereimuseum und Schaudepot im Benaryspeicher Erfurt"
This press is missing a treadle and hook and appears to be powered by electricity. It has a fountain and brake. 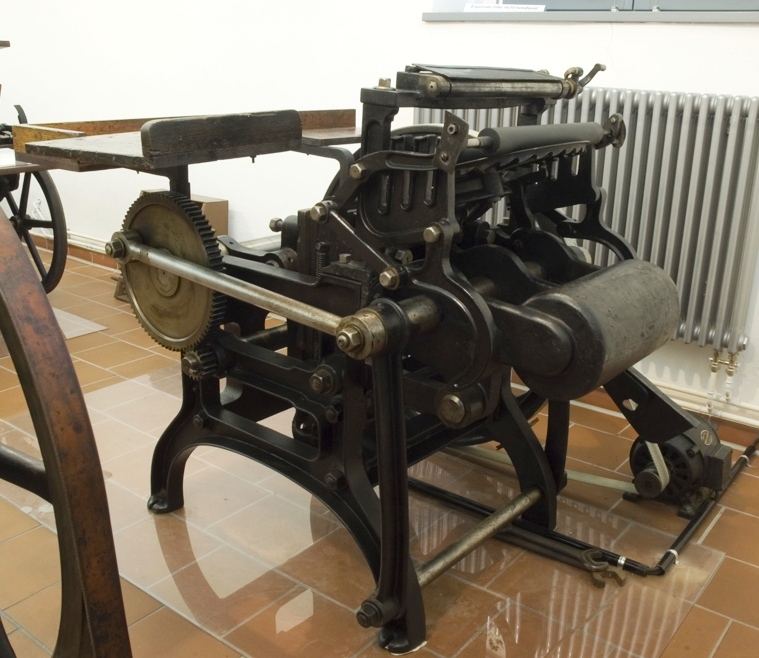 This press was manufactured after 1877 (when F. M. Weiler bought out the Degener family). Although it does not have a throw-off, the delivery board has a notch cut out to accommodate one. Thanks to Helmut Wuensche for pictures and information.